Adding edge to a vocal can typically be high end EQ, however this can be unpredictable with Esses and Consonants peaking tremulously requiring addition maintenance to sound great! So saturation can not only add fullness to a vocal but an ‘edge’ a grit if you like that makes the vocal cut more in the mix! I personally like to add a separate bus/auxiliary with distortion on it, but often a small amount directly on the vocal track can add a little extra excitement! I use slap delay A LOT! Most of the time is barely audible unless soloed! It adds a fatness to the vocal because the extremely short delay time adds a light smearing of the vocal, making it sound and feel bigger. A little distortion and high end gently removed helps add fatness with no competing high end information such as Consonants and Esses. Tape Delay emulations and a little Low Pass filtering can work wonders and give you an amazing result. This is a trick that I’ve used for years to add warm and low end to a vocal. Send the vocal to a separate Bus/Auxiliary with a Pitch Change plug in on it, take the pitch down exactly one Octave and then lightly blend! Again I often low pass this signal so only the low octave information is in there and there is no high end competing info. This trick is very common amongst many mixers and even Mastering Engineers will use this trick to brighten the overall Master Mix! Simply Boost the High End of the Vocal, then apply a little DeEssing to stop excessive Harshness, then repeat! 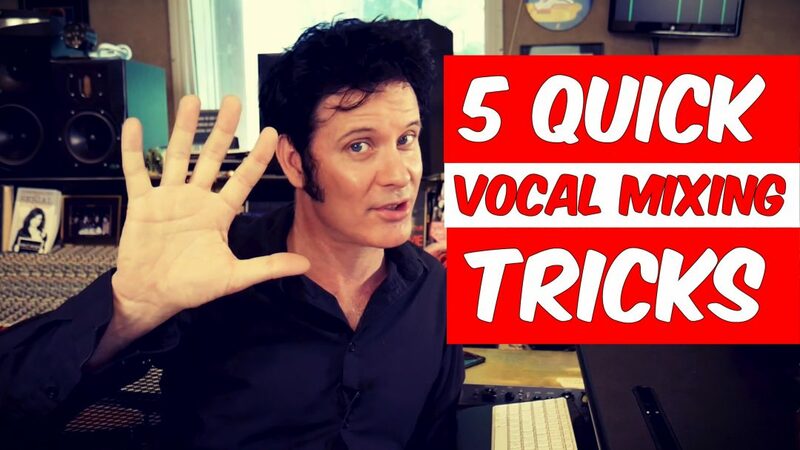 It’s a great way to get the overall vocal brighter without making it too harsh. Do not be afraid to apply different effects in different sections of a song. I often use several different reverbs and delays in varying amounts throughout a song, dense sections with increased amounts of instruments soak up higher levels of effects and longer decay times.